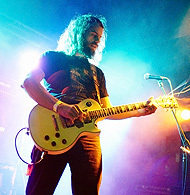 The perfect length for a filthy, fuzzy slice of garage-rock is somewhere between two-and-a-half and three minutes. The Ramones knew it. The Sonics knew it. The Cramps did, too. 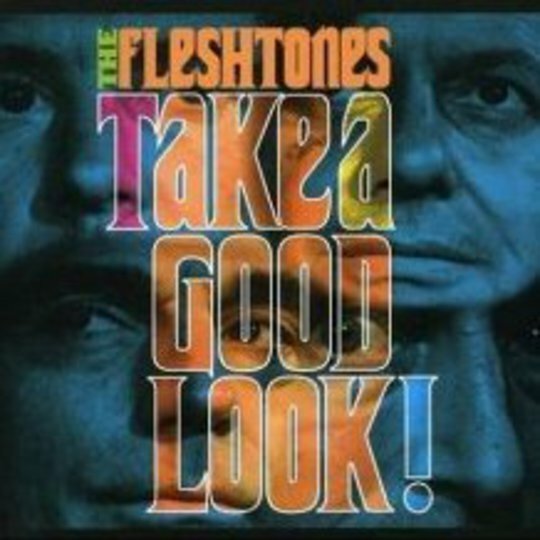 Coincidentally, they shared a practice room in the ‘70s with the much less fêted The Fleshtones, who've been peddling a similar style for nigh-on 30 years now. And, surprise, surprise, Take A Good Luck! 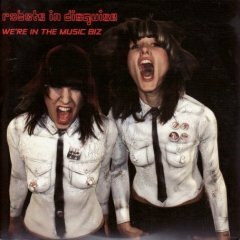 - the umpteenth release from these New York dolls - adheres stringently to that maxim, clocking in with twelve songs in half an hour. In truth, a band at this stage of its career is never going to rewrite the rulebook of a genre whose rules are pretty straightforward anyway: play it dirty, play it fast and chuck in some decent harmonies for good measure. That's The Fleshtones' blueprint, plain and simple. What you hear is precisely what you get. Almost. See, The Fleshtones have a secret weapon. Peter Zaremba adds additional flourishes of melody to their meat and potatoes punk-rock through keyboards and a harmonica, the last instrument you might expect to hear on a record of this ilk, but one that makes quite a difference. Opener 'First Date (Are You Coming On To Me?)' and 'Love Yourself' wouldn't sound anywhere near as good were it not for Zaremba's propulsive parping. Of course, the inherent problem with these sort of bands is that - forgive me, aficionados - a lot of their songs end up sounding pretty similar to one another. For all its qualities, 'Back To School' recalls practically any garage-rock tune from the past forty years. If it ain't broke, etc, but a little variety is always welcome. There are a couple of deviations, though. 'This Time Josephine' takes its cues from The Kinks as much as any of the bands mentioned in the first paragraph, and 'Ruby's Olde Time' slows the pace a little, coming off like the sort of tune The Zombies might have written had they holidayed in NYC as a result. The Fleshtones' sound is certainly an enduring one, and if you're interested in hearing how the old hands at this genre do the business, Take A Good Look! is certainly worth, well, a listen.